Suresh Wangjam scored from the spot in the final minutes of the game to keep India alive in AFC U16 Championship. Aniket Jadhav gave India an early lead in the 6th minute. Aman Chhetri doubled it in the 22nd minute with a brilliant assist from Boris Thangjam. Saudi Arabia's Abdulaziz Suleiman reduced India's lead in the 34th minute with a header. With less than 10 minutes for the final whistle, Feras Tariq scored back to back goals in two minutes to hand his team the lead. India were awarded a penalty in the 94th minute of the match when Komal was brought down by Saudi's goal keerper inside the box. Suresh Wangjam took the shot and made no mistake to convert from the spot to hand India a point and a chance to progress to the next round. The hosts will now need to defeat Iran in their final Group A outing on Wednesday to stand any chance of reaching the quarter-finals while the Saudis face the same predicament against the United Arab Emirates. India got off to the perfect start when Jadhav opened the scoring on five minutes by firing low into the bottom left corner after Komal Thatal had picked the midfielder out from the left. In the 22nd minute Boris Thangjam broke towards the left byline, turned inside two defenders and crossed for Chetri to side-foot into the back of the net from 12 yards despite the best efforts of the Saudi defence. But just as they did in their opening-day reversal against the UAE, India looked vulnerable when in front and the Saudis took advantage by grabbing a goal for themselves in the 34th minute. Dhari Al Anazi received the ball on the left before going past defender Mohamad Rakip and centering for Al Dhuwayhi to head home from six yards out. The West Asians were now in almost complete control as Naif Almas diverted Hamad Al Abdan’s free-kick from the left onto the post on 45 minutes. On the stroke of half-time Saudi Arabia were awarded a penalty when Sanjeev Stalin brought down Al Dhuwayhi in the box, but Mali’s spot kick was expertly saved by Dheeraj Moiranghtem low to his left. German coach Nicolai Adam took off both goalscorers at the break but India continued to look a threat going forward as Thatal’s deflected effort on the hour forced goalkeeper Hashem Al Asmari into a scrambling save. But as the half wore on Saudi Arabia started to exert further pressure and Ali Al Shaikhi lashed narrowly wide from distance on 67 minutes. Mali them had another chance to level the score with 13 minutes remaining but failed to keep his composure as he sliced wide from inside the penalty area. The Saudi pressure eventually paid off with eight minutes remaining when Al Anazi danced past Khumanthem Ninthoinganba down the left and crossed for Al Brikan to finish. And the substitute was not down there as he finished from Abdullah Al Sawat’s centre from the right from close in to complete a stunning turnaround. Mali struck the woodwork from outside the area in stoppage time before India were thrown a lifeline when Al Asmari brought down Khumanthem and Wangjam kept his composure to seal a dramatic draw. 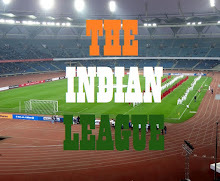 India will play against Iran in their last league match on 21st September.